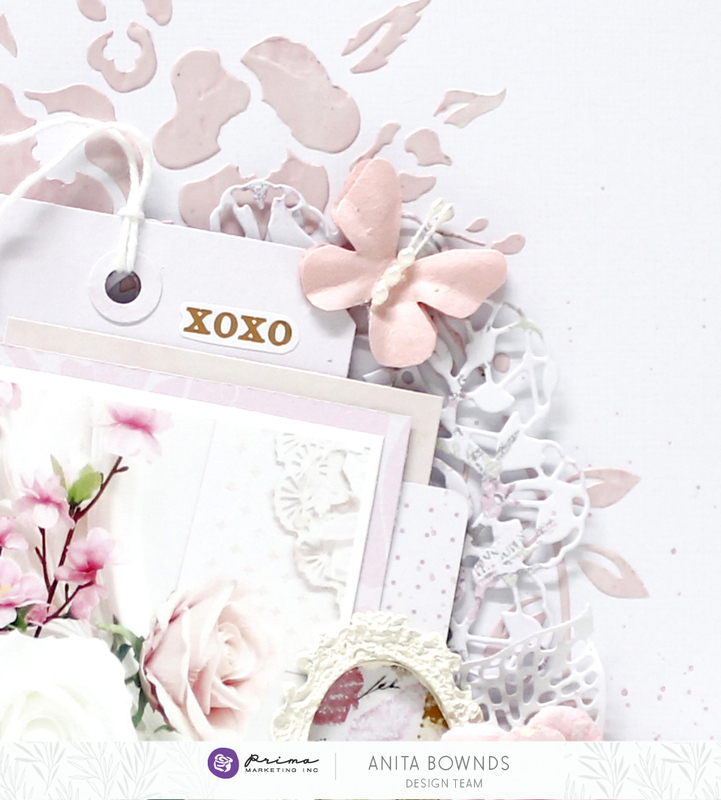 Pretty in pink and white, Anita created the loveliest layout ever with Misty Rose papers and flowers! Just soak in all of her paper crafting details that envelope the floral photo with so much texture...from the colored stencil work to the paper fringes to the delicate doilies...they add up to a gorgeous, gorgeous project! If you love MISTY ROSE come throw your hat in for a chance to win some of the line! We have give-aways happening on Facebook and Instagram right now for our two newest collections! But hurry! They both end on Friday!